Jeremy and Sally Macdonald’s home is situated in a leafy suburb of North Glasgow where the character and architecture of each house is unique. They decided to demolish the original bungalow on the plot to create a home that suited their lifestyle, incorporating a large open plan kitchen combining kitchen, dining and living area. 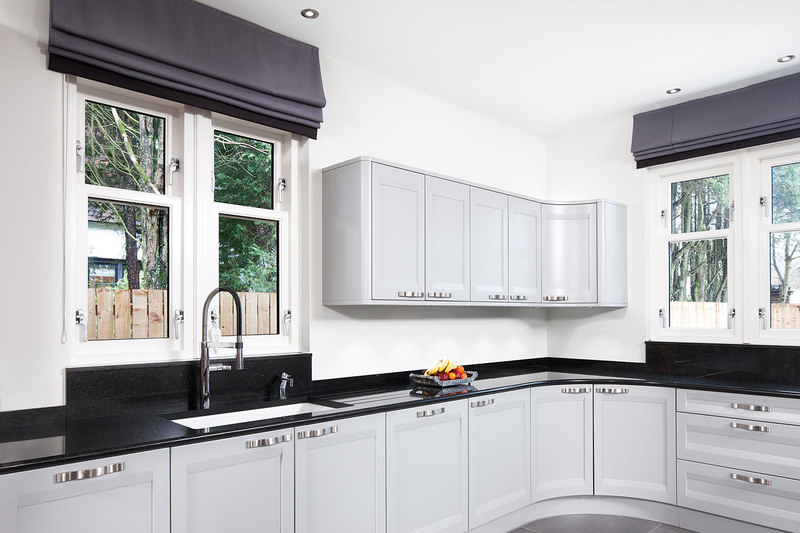 Working with our designers, the Macdonald's were keen to re-create the showroom display in their own home using traditional materials in a contemporary fashion. In order to combine living, dining and eating they the kitchen was designed to flow between each area creating a sociable family space without any demarcation by using the same kitchen cabinetry for the lounge area too. 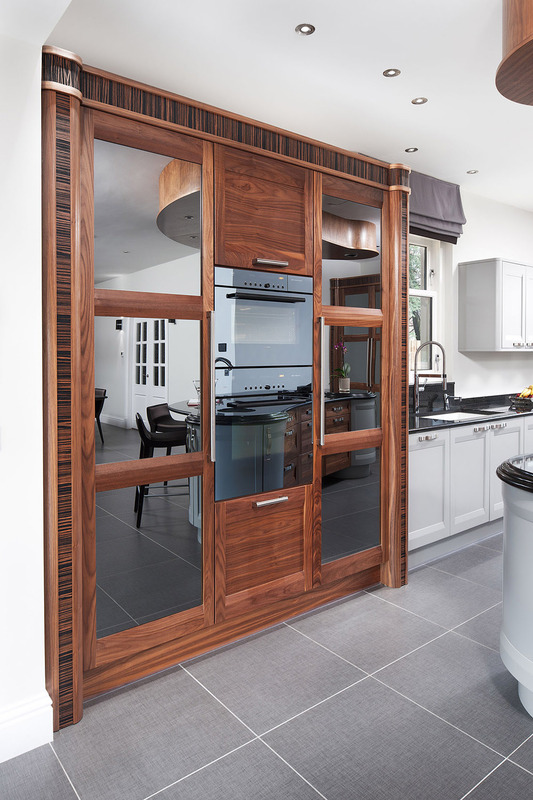 Large doors led onto the garden allowing the space to flow outdoors. 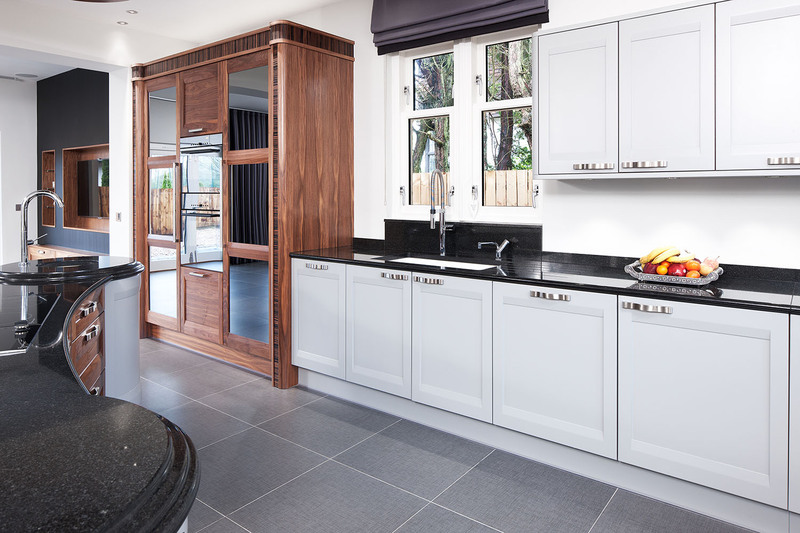 A large kidney shaped island was incorporated as it was more sympathetic to the eye while flowing between the food prep and dining and lounge areas. 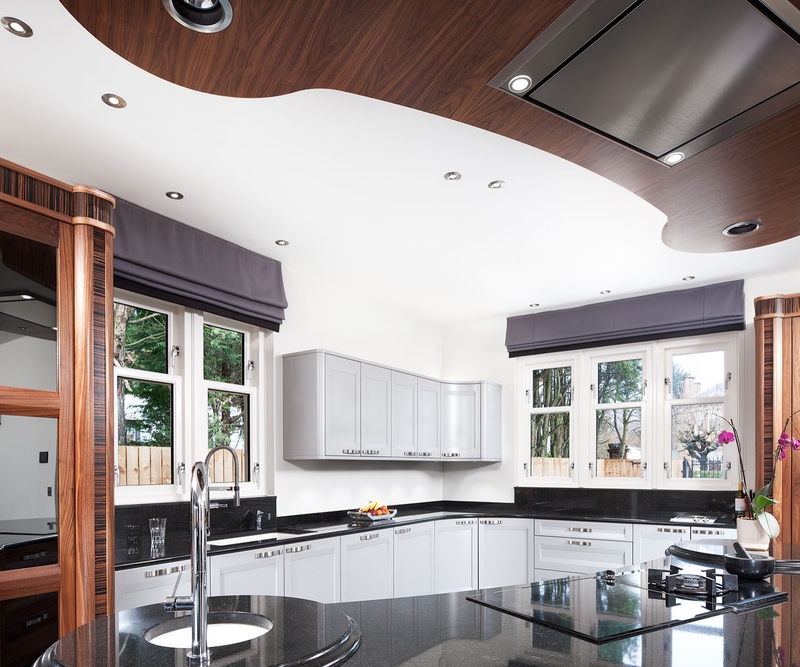 The ceiling feature houses the extractor and lighting and mirrors the same curves making it particularly aesthetic. 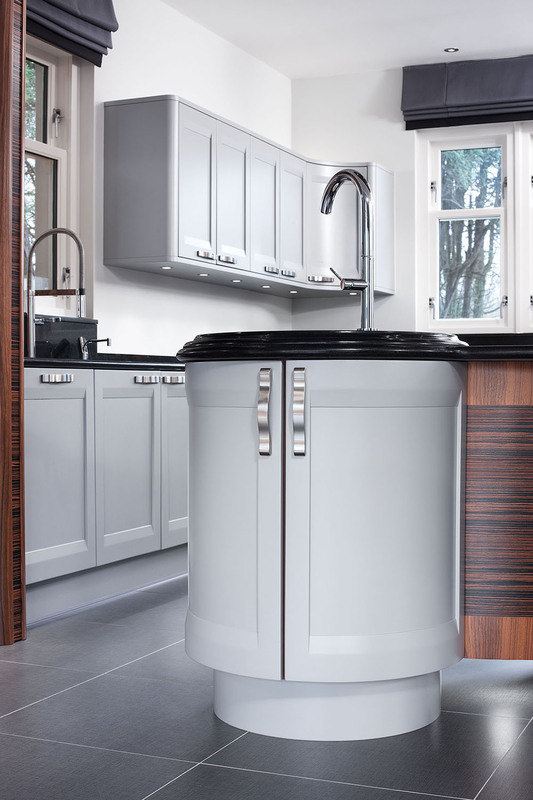 In terms of functionality the hob on the island was a major requirement. With the island positioned so centrally to the room at an unusual angle extraction had to be effective and efficient and as quiet as possible because it was all visible from the social space. 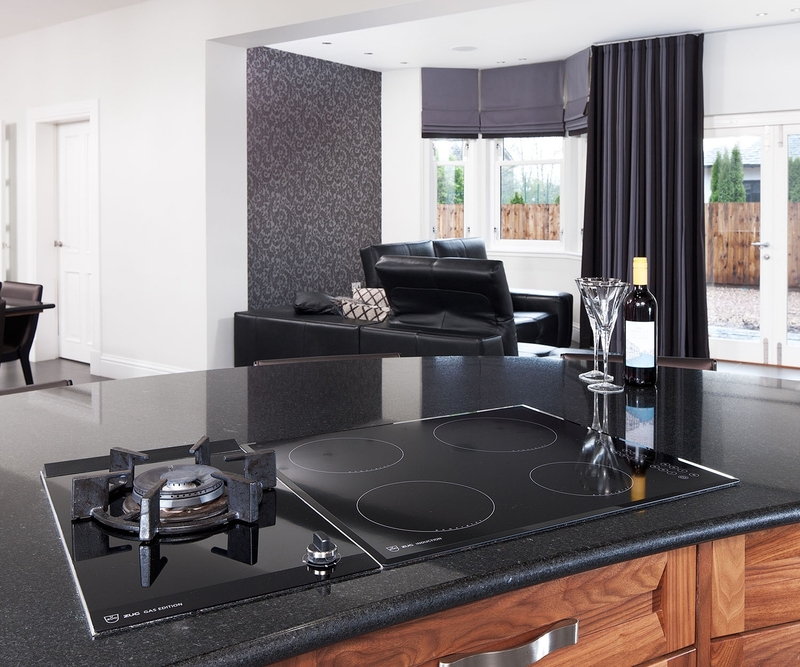 The Macdonald's are keen on cooking Asian style food so the V-ZUG gas hob designed specifically to accommodate a wok was included. With an overhead extraction this works well when cooking stir fries. 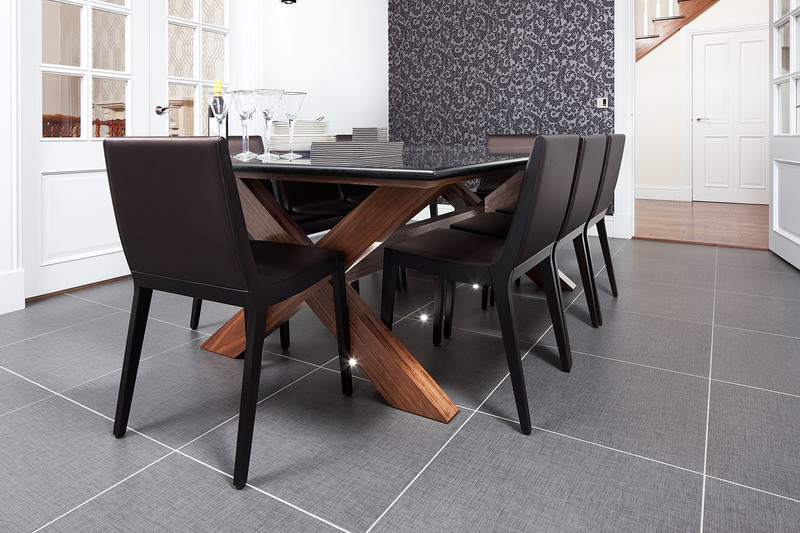 A very special element is the bespoke dining table. 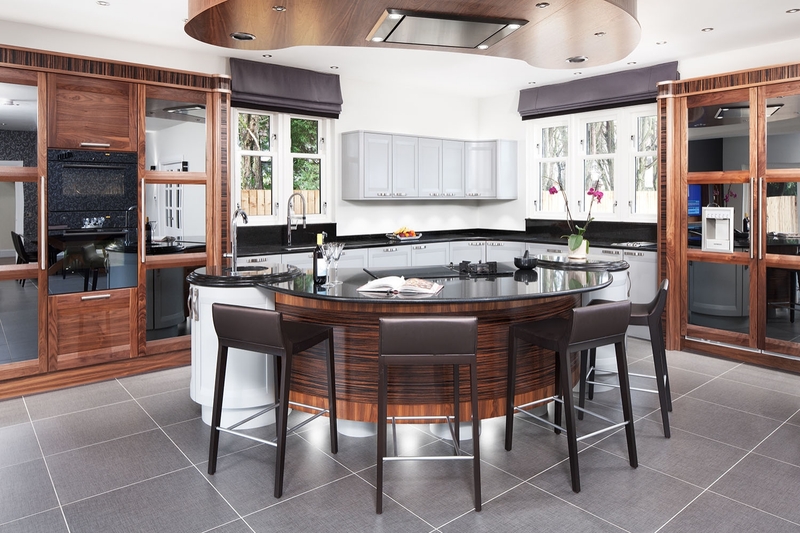 This was chosen to work well with the Stoneham cabinetry and is a Stoneham manufactured table in natural walnut with a granite top and was created as part of the kitchen.